Wow! Do things seem to be heating up or what? Earthquakes and a tsunami causing nuclear meltdown in Japan, a new war in Libya, (where the US curiously finds itself edging toward fighting on the same side with al Qaeda and Hezbollah) serious civil disorder throughout the Moslem Middle East, the Palestinians preparing to unilaterally declare statehood in September with growing European and UN support, and Israel threatening to take some unspecified unilateral action of their own if that happens. The rockets and missiles are flying into Israel again, and there’s talk in Israel of another Gaza invasion, perhaps as early as this spring. A video recently released from Iran showed officials there announcing that this is just what’s supposed to happen right before al Mahdi arrives. According to Islamic prophecies, this so-called Islamic anti-Christ will return to Earth during a time of great chaos to restore peace and reorganize the world under an Islamic Caliphate. 7 years later the world will be judged. In the US, the congress is heading for an economic showdown that could result in temporarily shutting off revenue to the government. Food and fuel prices are rising aggressively, and Walmart’s CEO has confirmed that the price of clothing and other essentials is sure to follow. Housing sales are at the lowest levels ever recorded and 2011 promises to set a new record for foreclosures. Personal wealth is down almost 25% from 3 years ago, most Americans are living week to week, and record numbers of capable people are unable to find full time employment consistent with their skills. One out of seven Americans is already enrolled in the food stamp program due to their inability to purchase sufficient food without help and experts say the trend of increasing prices and actual shortages will continue for years. The 50 states, which by law have to balance their budgets every year, are finding it more and more difficult to do so. It is now believed that many of them knowingly agreed to wage and benefits packages for employee unions that they’d eventually be unable to pay, and that situations like the one in Wisconsin will soon become more numerous. Other states are finding it impossible to continue extending benefits to illegal aliens that were designed to help American citizens. The policies of the man we elected by a wide majority just two years ago seem to be designed to confiscate the wealth of most Americans and put an end to America’s super power status by eliminating what little value our currency still has. 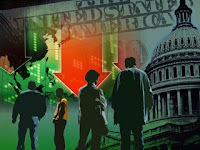 More and more experts are warning us to be prepared for the hyper-inflation that’s sure to come when the rest of the world decides to stop lending us the money we need to fund our deficits. Already 70% of it is coming out of thin air, courtesy of the Federal reserve. The claim that the protestors in the Middle East are only seeking western style democracy is pure fiction. They’re protesting against the same economic conditions that will soon prevail in the US. The result here will be the same as there, and it’s not far off. According to competent observers, protests against food shortages and rising unemployment will begin to erupt in the US by this time next year, if not sooner. What’s most amazing to me is the fact that so many people from all over the political and religious spectrum are looking for this year or next to bring events that will change things forever. Whether it’s the Islamic Caliphate, a New World Order, the Age of Aquarius, the rapture of the Church, or whatever, these viewpoints all foresee rough times in the months ahead but promise a happy ending for their followers. Of course, the Bible tells us that only the Church has a right to be excited about the future. That’s because the worse things get in the world, the closer we are to being relocated to our permanent home. On this issue we have the promise of One who cannot lie and has a 6,000 year track record of predicting and fulfilling prophecy without a single miss. This is a claim no other so called deity can make. This is one of God’s signature statements in the Bible and He’s backed it up with His own performance. His response is in Isaiah 48:6. If He staked His reputation on accuracy and honesty in the Old Testament, would He do any different in the New? Hebrews 13:8 says He’s the same, yesterday, today and forever. And what has He promised us about the signs that the End of the Age is upon us? The end times signs are warnings to the unbelieving world that God’s patience is at an end and judgment is coming. But for us they’re signals that we’re about to begin a new life filled with joy and excitement we can’t begin to imagine. It will surely be a little rocky in the process, but we have to remember that even though birth pangs make both mother and baby uncomfortable, they end in the joyful beginning of a new life. It wasn’t by accident the the Lord referred to the signs of the times in that way. Since our new life is not on Earth, that means the beginning of the End Times signs He mentioned indicates we’ll be leaving soon. In my Father’s house are many rooms; if it were not so, I would have told you. I am going there to prepare a place for you. And if I go and prepare a place for you, I will come back and take you to be with me that you also may be where I am (John 14:2-3). The most reliable indicator that Jesus is coming back for us is that He left. And notice He didn’t say He was coming here to be with us where we are, as would be the case if He had the Second Coming in mind. He said He was coming to take us there to be with Him where He is. He was referring to the rapture. The Greek word translated from literally means “out of” or “away from”. It includes time, place and cause. He’s going to remove us from the time and place of the hour of trial because we’re not the cause of it. This same Greek word is used in Revelation 7:14 where an elder tells John that the multitude he has seen before the Throne of God in Heaven is made up of people who have come out of the Great Tribulation. Since the Great Tribulation doesn’t begin until Rev. 13, some have been confused by this. Understanding that the Greek word translated out of means to be removed from both the time and place of the event being referenced eliminates the confusion. I am coming soon. Hold on to what you have, so that no one will take your crown (Rev. 3:11). There are lots of other Biblical proofs of the Pre-Trib rapture and I’ve written about them many times in the past. My goal here was just to highlight some of the promises Jesus made to us Himself and to re-enforce our belief that based on past performance, our faith in these promises is justified beyond any doubt. Therefore, we have no reason to fear the difficult days ahead and there’s no justification for uncertainty about the future, because our destiny is guaranteed by God Himself. It is He who makes us stand firm in Christ. He anointed us, set his seal of ownership on us, and put his Spirit in our hearts as a deposit, guaranteeing what is to come (2 Cor. 1:21-22). We have His promise on that. You can almost hear the footsteps of the Messiah.